Reports of El Dorado Men's Golf Club Members in Competition. 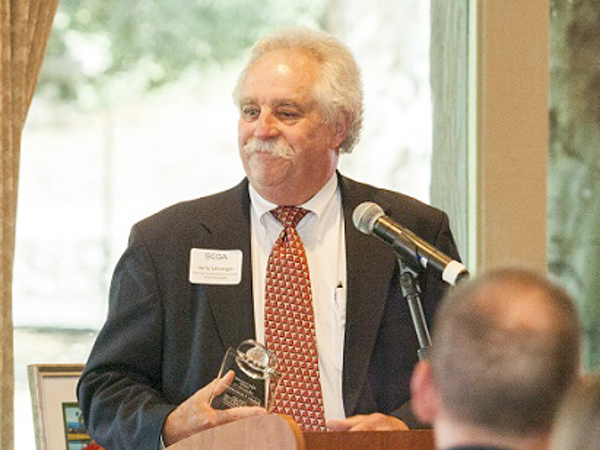 El Dorado's Handicap Chairman Jerry Leininger, was recognized at the 2017 SCGA Annual Meeting as the winner of the Don Carlson Handicap Chairman of the Year Award for all SCGA member Clubs. Congrats to Jerry and thank you to him and the Handicap Committee for trying to keep our club events fair from a "net" perspective. The Club said a sad good bye to Steve Shure at the October general meeting. After 35 years as a member, Steve and his wife Joy are moving up to Auburn, in northern California, by the end of the month. Steve was on the Club's Board of Directors for most of the 1980s and was President in 1990 and 91. After this, he stayed active trying to get members of the Club to do outings and other fun group events outside of the regular monthly tournaments, organized many small competitions on weekends and operated many 50/50 events to raise and donate money on behalf of the Club to Wounded Warriors and children's hospital charities. Everyone raised their glass in a toast to Steve and he talked about what the Club had meant to him, from when he moved to California all by himself, and how many of his closest friends and "family" were people from the Club. He also tipped his hat to all of the people who had and were serving on the Board of Directors for all of their efforts in providing fun and camaraderie to all the members. Hopefully (and we think this will happen) Steve will come back every once in awhile to visit! Congrats to several members of the El Dorado Men's Golf Club who "weathered the storm" and performed admirably in the 2015 Long Beach Men's Senior Championship on May 13-14-15, 2015. * Flights are by age, not handicap. 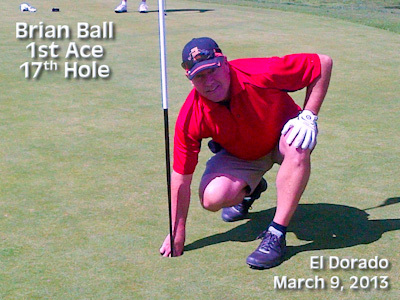 Brian Ball scored his first Hole-in-One on the 17th Hole at El Dorado on March 9, 2013. Mel Collins shot a final round 69 finish tied for 2nd the NCGA Valley & Senior Am Championship behind Jeff Burda. Read more. Congratulations to our own Larry Grant, who represented El Dorado in the SCGA Senior Tournament of Club Champions on Monday, December 5th, at SeaCliff CC and WON! Larry was the only competitor to break par, shooting a 1-under 71 to win by a shot. Complete results may be found at the 2011 SCGA Senior Complete Results. With his victory, Larry is now exempt into the 2012 SCGA Senior Amateur Championship at Pauma Valley in July. Great job, Larry! Two time El Dorado Park Men's Club Champion Mel Collins won the Long Beach Senior Amateur Championship on May 20th. Played over all three Long Beach courses, Mel carded even par 72s at El Dorado and Skylinks and finished with a 73 at Rec Park to win by 2 shots over Burbank's Dan Pouilot. Many El Dorado members played in the Senior Amateur, the first event of this year's Long Beach Golf Festival, including Steve Friend (t4th) and Jim Fuchs (7th). John Wong won low net in the C Flight for ages 60-65. "The Ryder Cup is an event that is second to none. You guys had a chance to make something of the Quad Club, but you blew that one!" Some comments on the various pairings at the Ryder Cup: "Corey and the Co-Captains thought Phil and Dustin Johnson were unbeatable. Yeah, they went 0-3!". When discussing the first session pairings and asked a question about why Tiger and Stricker were in the third group, Corey implied his team was loaded by answering "Because the first two groups were already full". Apparently Captain Monty disrespected the first round team of Overton/Watson and wasn't even around on the first tee to see them tee off against Paddy Harrington and Luke Donald, but "when Jeff and Bubba won the first two holes, guess who appeared at the 3rd tee to see what the hell was going on?" When asked about some of his duties he replied that in addition to making sure everyone wore the correct uniforms each day, that in the singles matches he was charged with carrying Peanut Butter and Banana Sandwiches for Tiger, who "won so quickly, he wasn't the least bit hungry when he got done". 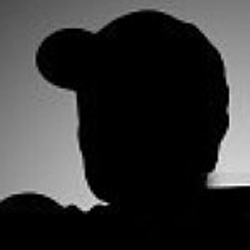 Discussing Ricky Fowler (of whom Paul would not be surprised if his final career was similar to Phil's in wins and majors). "He comes from 4 down with 6 to go and 3 down with 3 to go and has a downhill, breaking 20 footer on 18. When he made that putt, he silenced the entire continent of Europe!". Each of the wives/girlfriends was supposed to provide gifts to each member of the team. Ricky and his girlfriend made a donation to the USO in the name of each player on the team. Pretty impressive concept for a 20-year old kid. Tiger and Phil teamed up for hours at a time as ping pong partners, but Matt Kuchar was the best US ponger. After some trash talk at the end of the Matches, Kuchar took on Europe's best, Peter Hanson. When Paddy Harrington -- the instigator of the highly wagered-upon match -- said the match should be the best 2 out of 3, Kuchar (who was wearing an un-tucked tuxedo shirt and leather soled dress shoes) responded "and just why would I need to play a third set?" The final score was 21-5 and 21-5 for Kuch. When Paul noted that Dustin Johnson was paired in the singles against PGA Champion Martin Kaymer (you remember, the event where Dustin missed the playoff because of the bunker thing), he asked Dustin what he thought about the pairing, and Dustin's immediate response was simply "REDEMPTION". After out driving Kaymer by a mere 70 yards on the second hole, Dustin eked out a 6/4 win. On the formal dinner with Charles, Prince of Wales, where the PGA of America provided all of players with bow ties (while the Euro PGA provided clip-on bow ties): "I looked at what was basically a silk string, and walked out into the hallway and saw 17 golf pros dangling these things up in the air with puzzled looks on their faces. Luckily Commissioner Finchem's wife tied everyone's tie for them, and we were only about an hour late getting to the dinner". Despite trying to avoid a direct conversation with the next King of England, Paul was asked "why are you guys so good all the time?". Paul's quick reply -- intended more to get out of the conversation than to answer -- was "I'm not! But he's GREAT all the time!" as he pointed to Phil Mickelson, who then began a nice little chat with the Crown Prince. Finally, when asked about what his mental state was when he shot 59, he simply replied "Reaaalllly goooood". No one was able to answer his trivia question about what other big sports news story was overshadowed by his score....that was the same day that LeBron James picked the Miami Heat Jersey. Thanks go out to Paul, and we all wish him continued success as he keeps chugging along in his upcoming 20th year on the PGA Tour. 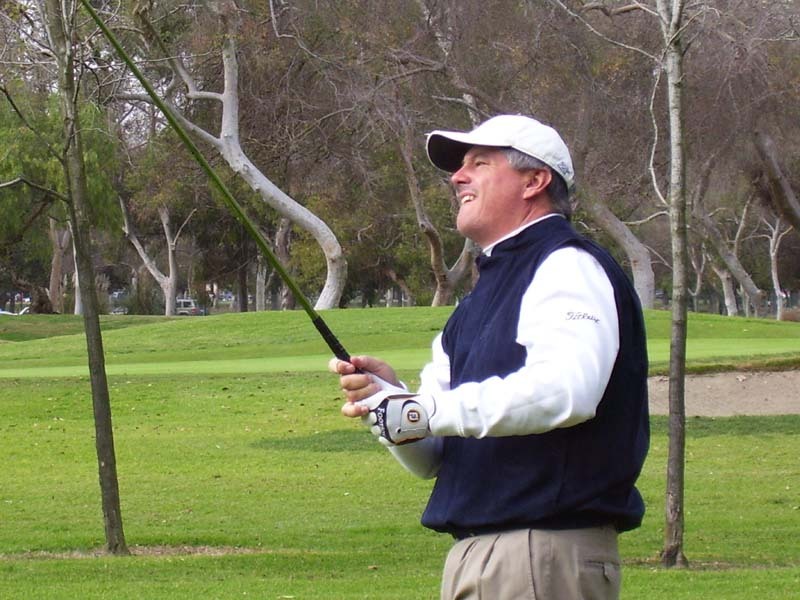 Member Larry Grant finished 12th at the CGA Senior Amateur tournament in Fresno. El Dorado members Bob Forster and Steve Friend also made fine showings, finishing T32 and T38, respectively. 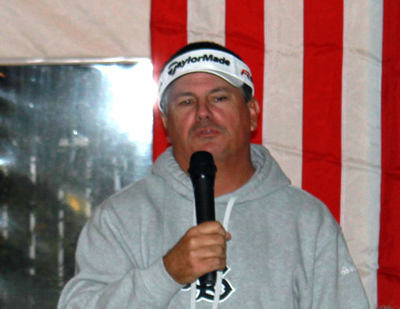 The vent was won by Jeff Burda of Modesto by five strokes. Bob Forster and I just returned from the ultimate golf junkie's trip to Ireland. We drove around the perimeter of the entire country and played 17 of the country's best links golf courses in 11 days. At one point we played 36 holes a day for five days in a row. We walked every course with our clubs on a pull cart, what they call a "trolley"; nearly 70 miles in all. Our itinerary was Ballybunion, Tralee, Waterville, the European Club, Portmarnock, The Island (in Dublin), County Louth, then into Northern Ireland for Royal County Down, Portstewart, Royal Portrush, then back into the Republic of Ireland for Ballyliffin (the northernmost course in Ireland), Rosapenna, Donegal, Rosses Point at County Sligo, Carne (perhaps the most remote course in Ireland), Lahinch and Greg Norman's Doonbeg. The first 4 days we had southern Cal weather and all of Ireland was streaming to the beaches, but then it cooled down, we had some wind, and one day we got rain. We stayed exclusively in B&B's where you stay with the locals rather than in hotels where you run into other Americans. Contrary to a popular misconception, the food in Ireland is wonderful. The Irish love Americans and the golf courses are spectacular. They must be seen to be believed. If anyone is considering a trip to Ireland or Scotland, feel free to contact Bob or myself for suggestions and recommendations. 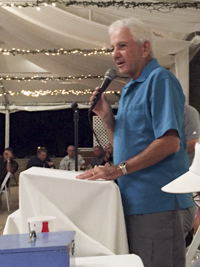 SCGA Board Member and longtime El Dorado Member Bob Livingstone played 100 holes of golf at Arcadia Par 3 GC in 6 hours and 37 minutes in the inaugural SCGA Foundation Golf Marathon at Arcadia Golf Course. Bob recorded 1 eagle, (ace!) 13 birdies, 73 pars 12 bogeys and one double bogey, for a total of 299 or 1 under par. Livingstone raised $1050, and had over 25 members from El Dorado as sponsors. There were 28 total players, of which 7 were junior golfers. Bob was paired with junior golfer Stian Linvedt from the First Tee of Pasadena. Stian is 11 years old, and a good foot shorter than Robert! He had 9 birdies on the day. The marathoners raised over $30,000 to benefit the SCGA Foundation. Congratulations to two of our Honorary Men's Club Members for qualifying for this year's US Open at Pebble Beach. Paul Goydos finished tied for 3rd in the 36-hole qualifying event in Memphis to easily qualify for this year's US Open, while John Mallinger survived a 6-man play off for 5 spots at the qualifier in Columbus, Ohio. Mallinger parred the first play off hole to advance. Pebble Beach is a favorite for both players, and both have had success there. Goydos had the lead in this year's AT & T Pebble Beach National Pro Am with five holes to go before ultimately finishing 5th, and he has had several top 10 finishes in that event in his career. 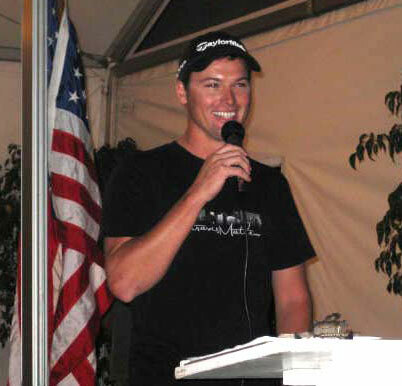 Mallinger finished 3rd in his first and second appearances there in 2008 and 2009 on his way to making over $1,000,000 each year. Thanks to PGA Tour member and self proclaimed "Long Beach Guy" John Mallinger for doing a 30 minute Q & A at the January General Meeting. John answered questions ranging from where he thinks Tiger is ("I think he is spending some time in New York, and some in West Palm, but for all we know, he could also be on the Moon") to the impact of the new U grooves ("I don't really know what they are trying to do -- I think the scores will be a little higher, but people want to see low scores!") to his favorite courses ("in order: Muirfield Village, Pebble Beach, The Stadium Course and Rec Park -- who could pass up one of those burgers and a 12 pack on #7?") and his favorite tournament ("The Memorial -- Jack has taken everything he knows and likes and put it into one event"). John will be starting his 2010 Tour campaign next week at the Bob Hope Chrysler Classic, and several members promised to be at Riviera to root him on. Good Luck, John, and stop by any time! 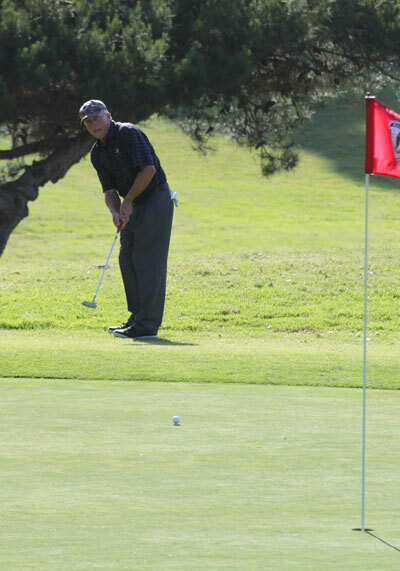 A strong El Dorado contingent participated in the SCGA Senior 4-Ball Championship at El Niguel Country Club. The membership was lead by Jim Fuchs and partner Rich Morrison with a 4th place finish, 5 strokes back. Members Larry Grant and Mel Collins tied for 24th with their respective partners. Bob Forster and Steve Friend finished tied for 41st place. 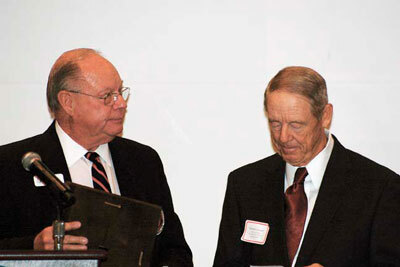 Longtime committeeman Tom Mc Cutcheon of Cypress was given the Jim House Award for meritorious service to amateur golf. El Dorado members cleaned up in the Long Beach Open Pro-Am. The Team of Steve Shure, Terry Fulford, Paul Wildy and pro Travis Johnson won the overall Net division. Member Clay Mc Cutcheon shot the low gross score of 67, won the Long Drive and was part of the winning Gross Team with brothers pro Ian and Floyd, and Craig Huston. Members Don Russell, Nick Zamora and John Davis with pro Brian Gonzales capture second in the Net division to boot. Past Prez Rich Dennison even won the Closet to the Pin on Hole 3. 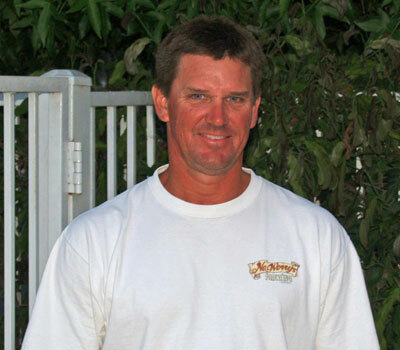 El Dorado member Robert Creighton won the Long Beach City C-Flight title by seven shots. Fine performances were also turned in by member George Manyak with a third place finish in the D-Flight and member Jerome Hodge with sixth place in the F-Flight. Bob Forster and I just returned from a golf vacation to Scotland. In a word it was magnificent. We played 15 golf courses in the 10 days we were there, including the Old Course at St. Andrews and Carnoustie and we planned the entire trip ourselves. 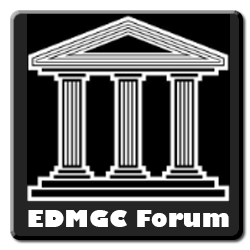 I wanted any Men's Club member who is interested in visiting Scotland to know that he would be welcome to contact either one of us for help in planning their trip. We used a book that we would recommend to facilitate the process and would be happy to offer suggestions. 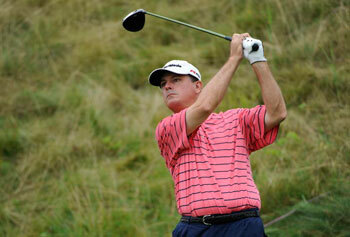 Member Paul Goydos played a gallant final round at the Players Championship only to come up short in the Playoff. Sergio Garcia's par on the 1st playoff hole secured the trophy after Paul's tee shot on 17 found the water. Paul made El Dorado and Long Beach proud with his play and sportsmanship. Congratulations to El Dorado Park Men's GC member Larry Grant for advancing to the Match Play Round of 16 match play in this year's U. S. Senior Amateur Championship at the Flint Hills National GC in Andover, Kansas. Larry finished the 36-hole stroke play part of the Senior Am tied for 13th out of 156 players with a 2-over par total of 144. Larry won his first two matches but lost his third to Alistair Catto, South Hadley, Mass. Recently crowned El Dorado Club Champion Steve Friend missed the playoff for match play by 8 shots. El Dorado Park Men's GC members Bob Forster and Steve Friend successfully defended their title at the Amateur Golf.Com 4 Ball Senior Championship at Bandon Dunes, OR. They shot a 72 hole total of 4 under par and won by 5 shots over George Adams and Rick Scott of Houston, TX. Their next nearest challenger was 10 shots back. See complete results at http://www.amateurgolf.com/articleview.asp?id=1904. Going into the last tournament of the year, Paul was 160th on the PGA Tour Money List, and needed to finish outright 4th place or better to regain his fully exempt playing privileges for 2007. Paul finished in a tie for second at the Chrysler Championship in Tampa, earning $466,400, his largest paycheck as a professional. This amount jumped him to 97th on the final PGA Tour money list with $890,392 in official winnings. Next year will be Paul's 15th on the PGA Tour.